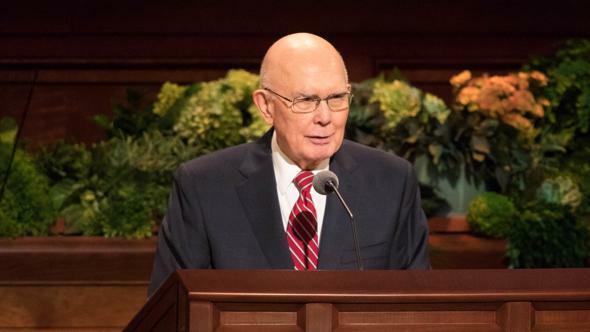 By applying the Atonement of Jesus Christ, you can begin increasing your spiritual confidence today if you are willing to listen and act. On a scale of 1 to 10, how would you rate your spiritual confidence before God? 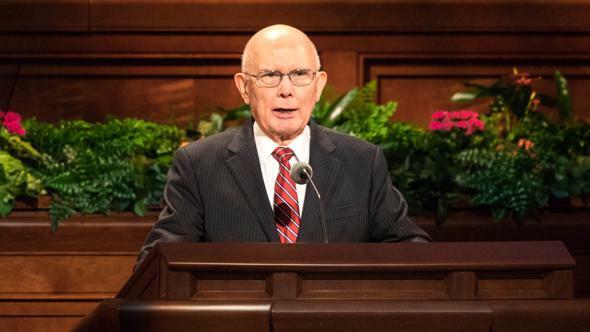 Do you have a personal witness that your current offering as a Latter-day Saint is sufficient to inherit eternal life? Can you say within yourself that Heavenly Father is pleased with you? 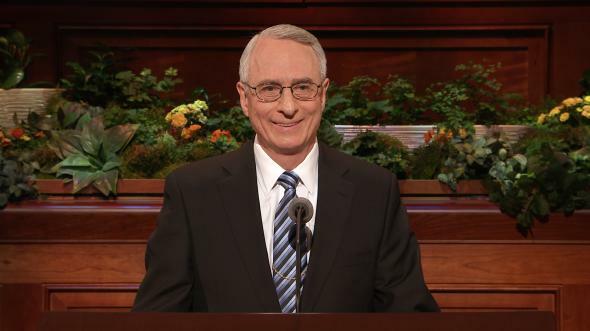 What thoughts come to mind if you had a personal interview with your Savior one minute from now? Would sins, regrets, and shortcomings dominate your self-image, or would you simply experience joyful anticipation? Would you meet or avoid His gaze? Would you linger by the door or confidently walk up to Him? Whenever the adversary cannot persuade imperfect yet striving Saints such as you to abandon your belief in a personal and loving God, he employs a vicious campaign to put as much distance as possible between you and God. The adversary knows that faith in Christ—the kind of faith that produces a steady stream of tender mercies and even mighty miracles—goes hand in hand with a personal confidence that you are striving to choose the right. 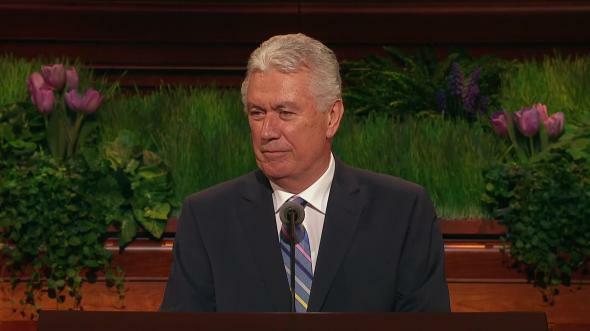 For that reason he will seek access to your heart to tell you lies—lies that Heavenly Father is disappointed in you, that the Atonement is beyond your reach, that there is no point in even trying, that everyone else is better than you, that you are unworthy, and a thousand variations of that same evil theme. As long as you allow these voices to chisel away at your soul, you can’t approach the throne of God with real confidence. Whatever you do, whatever you pray for, whatever hopes for a miracle you may have, there will always be just enough self-doubt chipping away at your faith—not only your faith in God but also your confidence in yourself. Living the gospel in this manner is no fun, nor is it very healthy. Above all, it is completely unnecessary! The decision to change is yours—and yours alone. 1. Take responsibility for your own spiritual well-being. Stop blaming others or your circumstances, stop justifying, and stop making excuses for why you may not be fully striving to be obedient. Accept that you are “free according to the flesh” and “free to choose liberty and eternal life” (2 Nephi 2:27). The Lord knows your circumstances perfectly, but He also knows perfectly well whether you simply choose not to fully live the gospel. If that is the case, be honest enough to admit it, and strive to be perfect within your own sphere of circumstances. Spiritual confidence increases when you take responsibility for your own spiritual well-being by applying the Atonement of Jesus Christ daily. 2. Take responsibility for your own physical well-being. 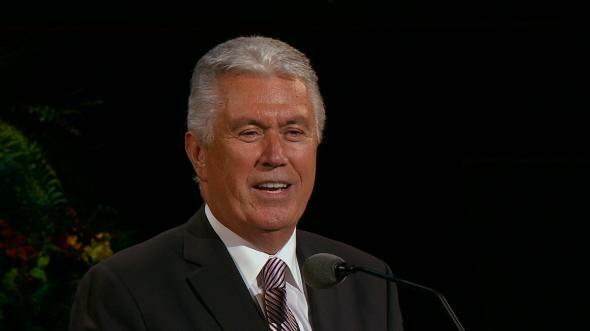 Your soul consists of your body and spirit (see D&C 88:15). Feeding the spirit while neglecting the body, which is a temple, usually leads to spiritual dissonance and lowered self-esteem. If you are out of shape, if you are uncomfortable in your own body and can do something about it, then do it! 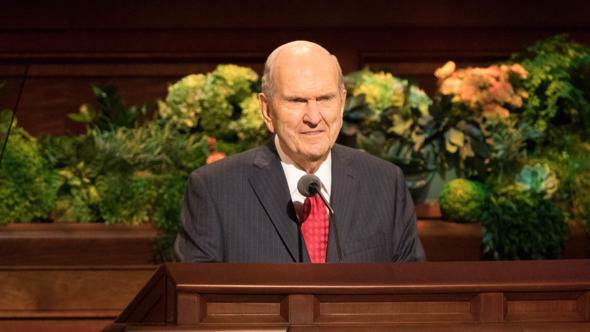 Elder Russell M. Nelson has taught that we should “regard our body as a temple of our very own” and that we should “control our diet and exercise for physical fitness” (“We Are Children of God,” Ensign, Nov. 1998, 87; Liahona, Jan. 1999, 103). 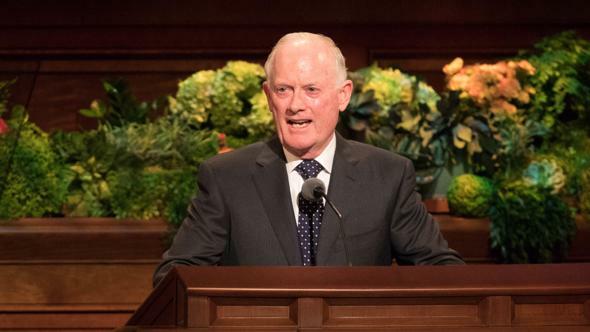 President Boyd K. Packer has taught “that our spirit and our body are combined in such a way that our body becomes an instrument of our mind and the foundation of our character” (“The Instrument of Your Mind and the Foundation of Your Character” [Church Educational System fireside, Feb. 2, 2003], 2; speeches.byu.edu). Therefore, please use good judgment in what and especially how much you eat, and regularly give your body the exercise it needs and deserves. If you are physically able, decide today to be the master of your own house and begin a regular, long-term exercise program, suited to your abilities, combined with a healthier diet. Spiritual confidence increases when your spirit, with the help of the Savior, is truly in charge of your natural man or woman. 3. Embrace voluntary, wholehearted obedience as part of your life. Acknowledge that you cannot love God without also loving His commandments. 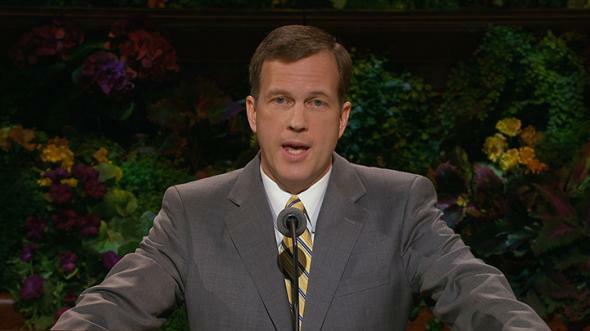 The Savior’s standard is clear and simple: “If ye love me, keep my commandments” (John 14:15). Selective obedience brings selective blessings, and choosing something bad over something worse is still choosing wrong. You can’t watch a bad movie and expect to feel virtuous because you did not watch a very bad one. Faithful observance of some commandments doesn’t justify neglecting others. Abraham Lincoln rightly said, “When I do good I feel good, when I do bad I feel bad” (in William H. Herndon and Jesse William Weik, Herndon’s Lincoln: The True Story of a Great Life, 3 vols. , 3:439). Also, do the right things for the right reasons. The Lord, who “requireth the heart and a willing mind” (D&C 64:34) and who “is a discerner of the thoughts and intents of the heart” (D&C 33:1), knows why you go to church—whether you are present in body only or truly worshipping. You can’t sing on Sunday, “O Babylon, O Babylon, [I] bid thee farewell” and then seek or tolerate its company again moments later (“Ye Elders of Israel,” Hymns, no. 319). Remember that casualness in spiritual matters never was happiness. Make the Church and the restored gospel your whole life, not just a part of your outward or social life. Choosing this day whom you will serve is lip service only—until you actually live accordingly (see Joshua 24:15). Spiritual confidence increases when you are truly striving, for the right reasons, to live a consecrated life in spite of your imperfections! 4. Become really, really good at repenting thoroughly and quickly. Because the Atonement of Jesus Christ is very practical, you should apply it generously 24/7, for it never runs out. 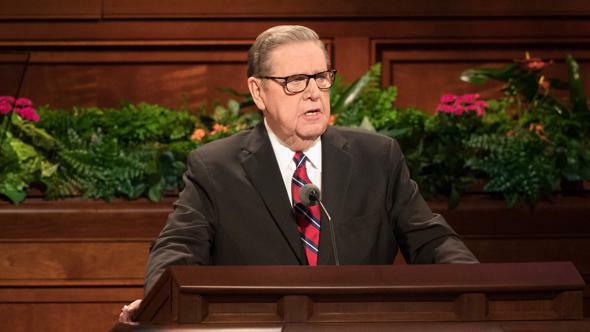 Embrace the Atonement of Jesus Christ and repentance as things that are to be welcomed and applied daily according to the Great Physician’s orders. Establish an attitude of ongoing, happy, joyful repentance by making it your lifestyle of choice. In doing so, beware of the temptation to procrastinate, and don’t expect the world to cheer you on. Keeping your eyes on the Savior, care more about what He thinks of you, and let the consequences follow. 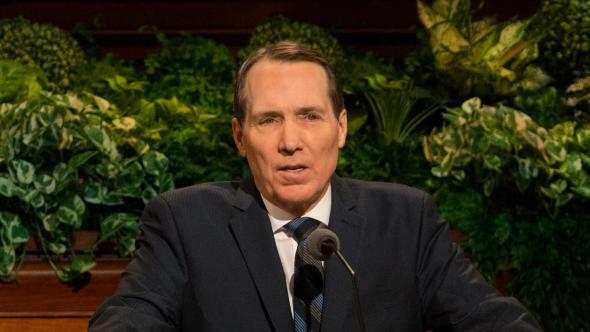 Spiritual confidence increases when you voluntarily and joyfully repent of sins, both small and great, in real time by applying the Atonement of Jesus Christ. 5. Become really, really good at forgiving. “I, the Lord, will forgive whom I will forgive, but of you it is required to forgive all men” (D&C 64:10). Forgive everyone, everything, all the time, or at least strive to do so, thus allowing forgiveness into your own life. Don’t hold grudges, don’t be easily offended, forgive and forget quickly, and don’t ever think that you are exempt from this commandment. Spiritual confidence increases when you know that the Lord knows that you bear no ill feelings toward another soul. 6. Accept trials, setbacks, and “surprises” as part of your mortal experience. Remember that you are here to be proved and tested, “to see if [you] will do all things whatsoever the Lord [your] God shall command [you]” (Abraham 3:25)—and may I just add, “under all circumstances.” Millions of your brothers and sisters have been or are being thus tested, so why would you be exempt? Some trials come through your own disobedience or negligence. Other trials come because of the negligence of others or simply because this is a fallen world. When these trials come, the adversary’s minions begin broadcasting that you did something wrong, that this is a punishment, a sign that Heavenly Father does not love you. Ignore that! Instead, try to force a smile, gaze heavenward, and say, “I understand, Lord. I know what this is. A time to prove myself, isn’t it?” Then partner with Him to endure well to the end. 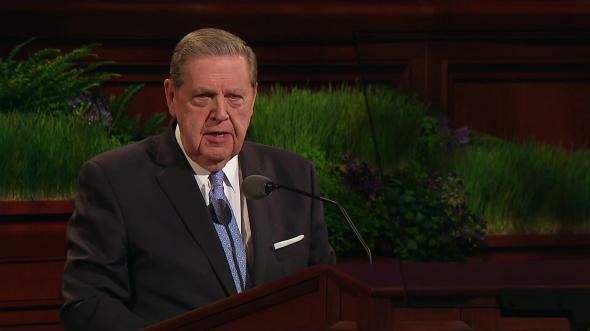 Spiritual confidence increases when you accept that “often trials and tribulations are allowed to come into [your life] because of what [you] are doing right” (Glenn L. Pace, “Crying with the Saints” [Brigham Young University devotional, Dec. 13, 1987], 2; speeches.byu.edu). 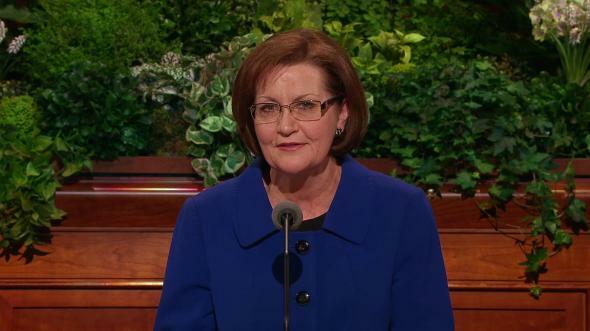 Brothers and sisters, my counsel to this sister missionary is my counsel to you: acknowledge and face your weaknesses, but don’t be immobilized by them, because some of them will be your companions until you depart this earth life. No matter what your current status, the very moment you voluntarily choose honest, joyful, daily repentance by striving to simply do and be your very best, the Savior’s Atonement envelops and follows you, as it were, wherever you go. 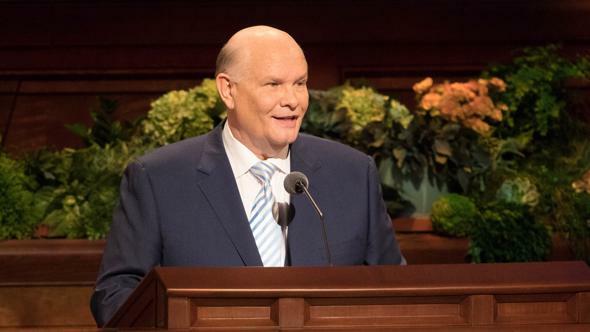 Living in this manner, you can truly “always retain a remission of your sins” (Mosiah 4:12) every hour of every day, every second of every minute, and thus be fully clean and acceptable before God all the time. Yours is the privilege, if you want it, to come to know for yourself, today or soon, that you are pleasing God in spite of your shortcomings. 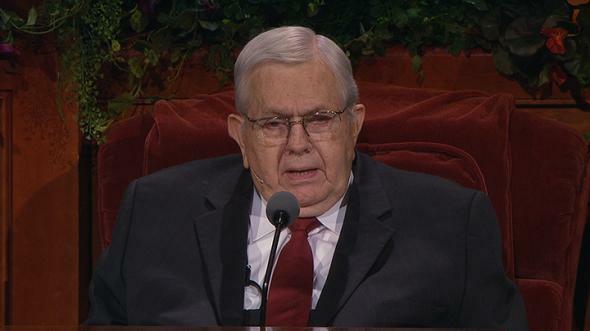 I testify of a loving Savior who expects us to live the commandments. 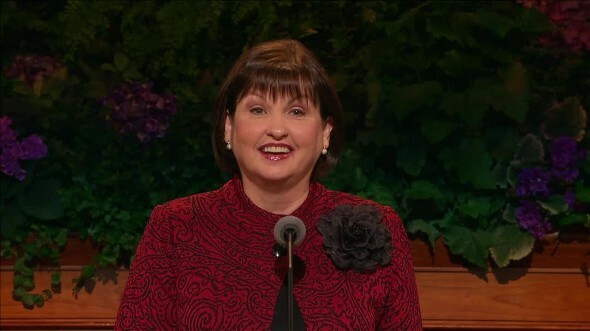 I testify of a loving Savior who is so very anxious to bestow His grace and mercy. 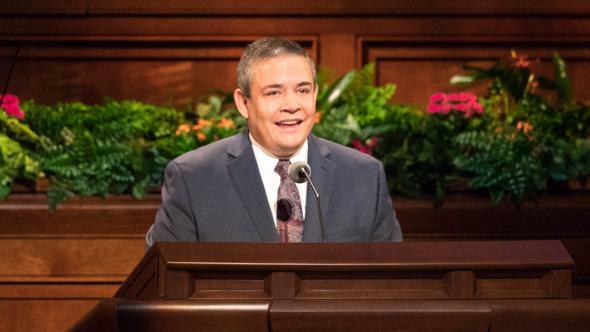 I testify of a loving Savior who rejoices when we apply His Atonement daily with the calm and happy assurance that we are facing in the right direction. 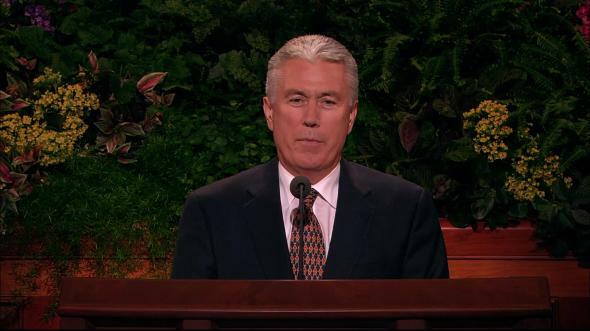 I testify of a loving Savior who is anxious for your “confidence [to] wax strong in the presence of God” (D&C 121:45). In the name of Jesus Christ, amen.